Pronovias Madra with beautiful floral jacket. 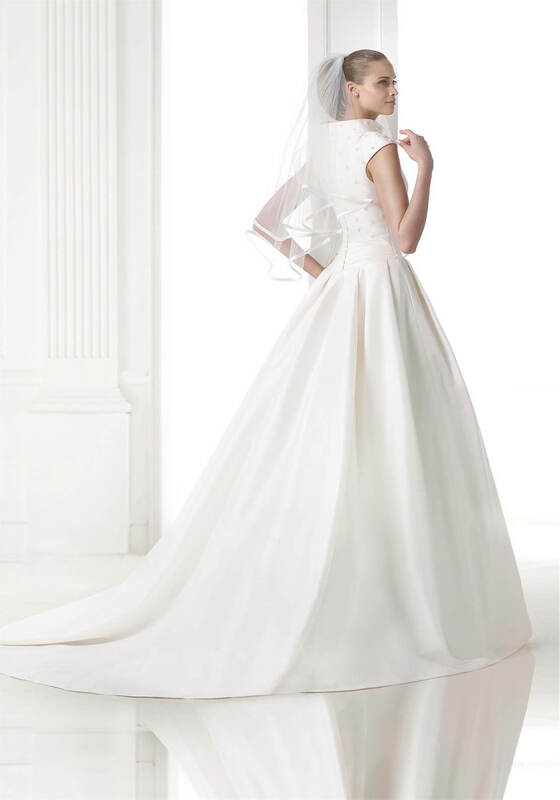 Strapless ballgown skirt giving you the opportunity to wear your dress two ways on your special day. This Pronovias Medra Wedding dresses features an elegant strapless mixed dupion with ballgown skirt. Gorgeous beaded floral detail on bodice and complimented with floral jacket.